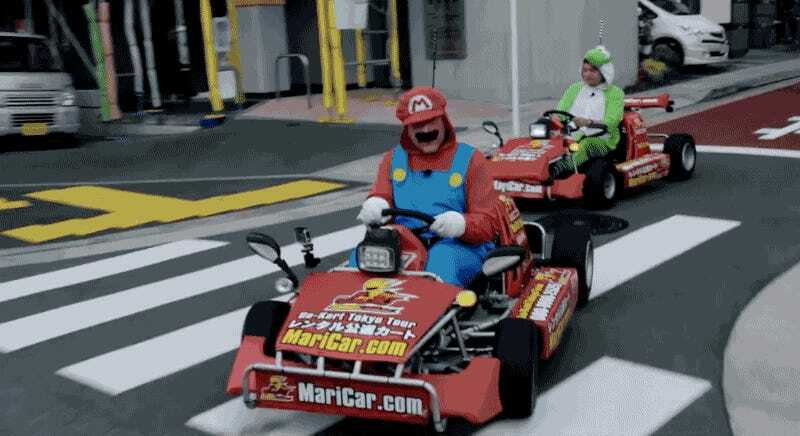 Today, Nintendo announced a lawsuit against a Tokyo-based kart rental service called MariCar. Tokyo has been home to a couple different karting businesses as the vehicles are street legal. Previously, Kotaku profiled Akiba Kart, a service renting out karts to those who want to explore the city’s geek district by go-kart. 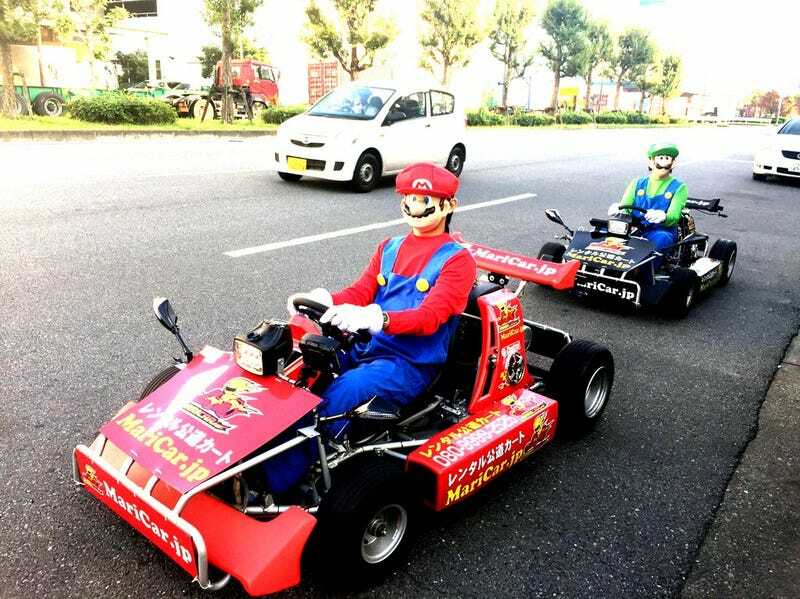 The whole karting-on-Tokyo-streets thing seems to have started around 2011 when two guys from Japanese car site Cliccar dressed up as Mario and Luigi and karted around Shibuya. 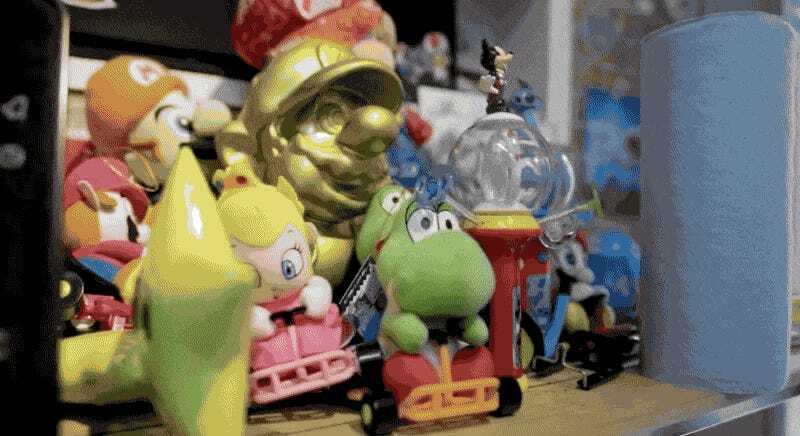 Nintendo is now suing MariCar over copyright infringement claims as well as for allegedly violating the country’s Unfair Competition Prevention Act. On Facebook, MariCar has nearly 4,000 reviews, with most of them appearing positive. Tours around Tokyo range from US$53 to $71. In an official statement, Nintendo alleges that the rental service’s name causes confusion with, well, Mario Kart, pointing out that the service provides Nintendo character costumes to renters and uses photos and videos of customers in said outfits as promotion. Earlier this month, the service was featured on NBC Sports’ Off the Grid with hosts Will Buxton and Jason Swales dressed as Yoshi and Mario (and Swales saying, “It’s-a me, Mario!”). The Off the Grid clip was uploaded to the MariCar Facebook page. Nintendo added that it will continue to take steps to protect the intellectual property it has built over of many years of hard work.